Vans has been known to dip their feet into the collaboration pool in order to bring the world some superb, high quality products. 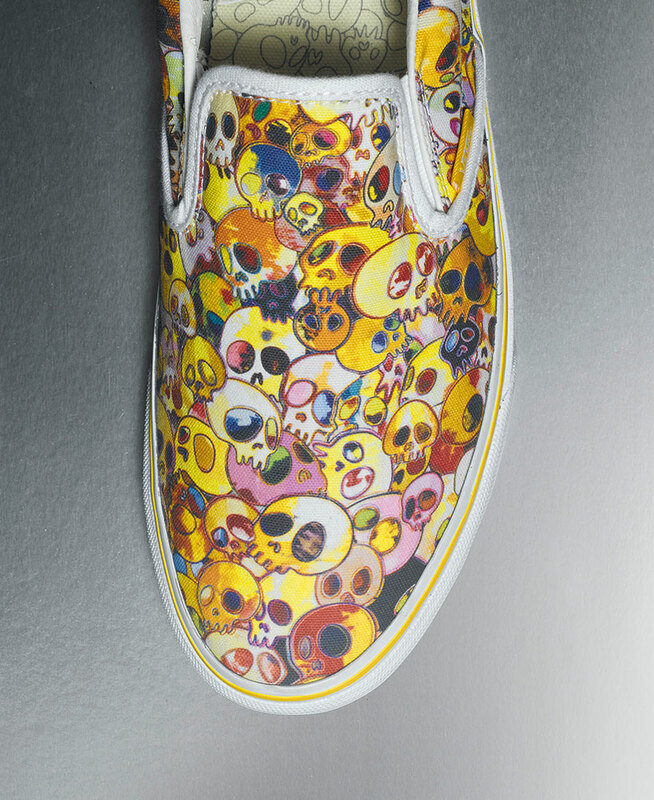 They are back at it again as their premium Vault By Vans division has teamed up with world reknowned artist Takashi Murakami to release an amazing range of sneakers, apparel and skate decks. Murakami's famed "Superflat" style will grace the Vans Classic Slip-On in six adult versions and three toddler makeups. 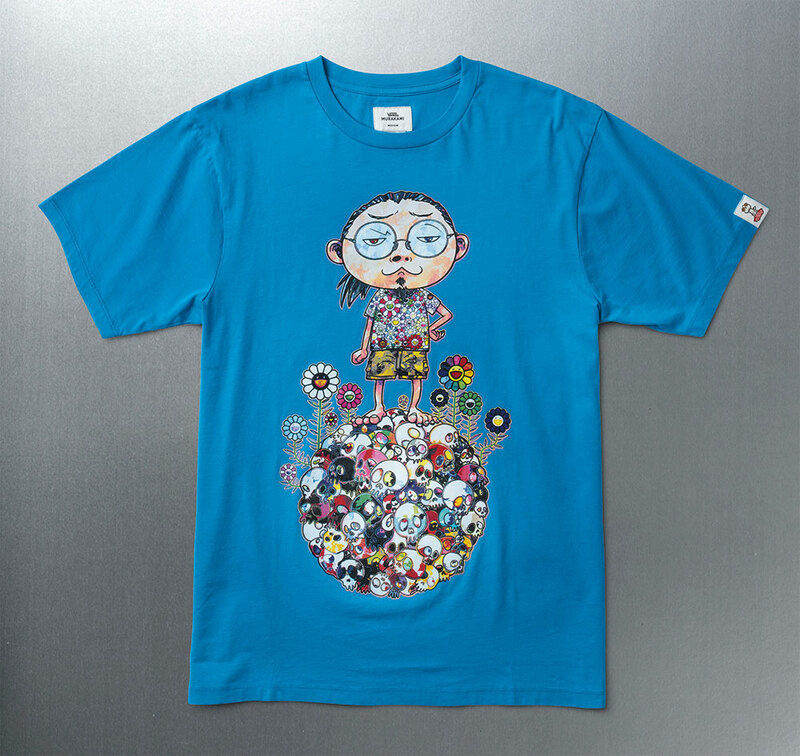 The adults will feature all over prints of his "Flower" and "Skulls" motifs while the kiddies will get toned down versions of the aforementioned motifs as well as his "Dog" motif as well. 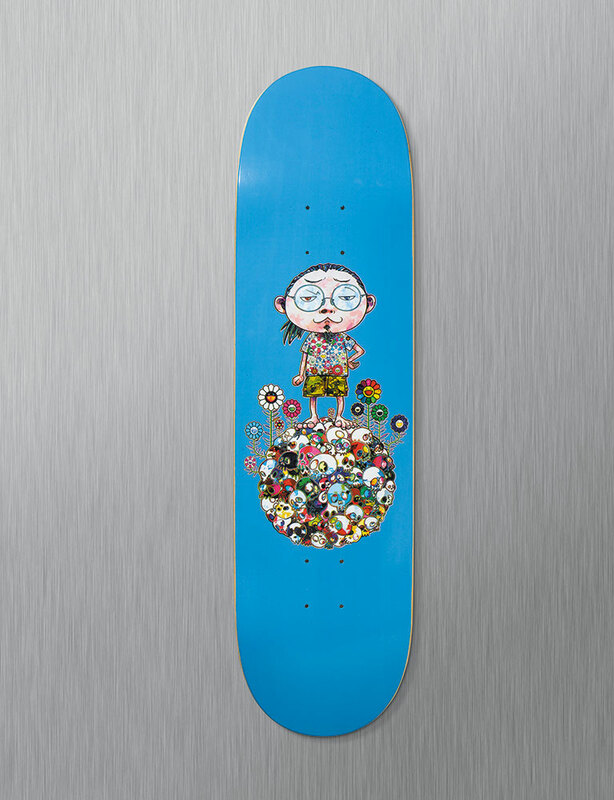 The skate decks and apparel will feature the same all over prints as well as a T-Shirt featuring the Murakami's likeness in caricature form. The entire collection will be availlable beginning June 27th in select Vans retailers. No price points were given as of posting time. Make sure to keep checking in with Sneakershouts for any potential updates.